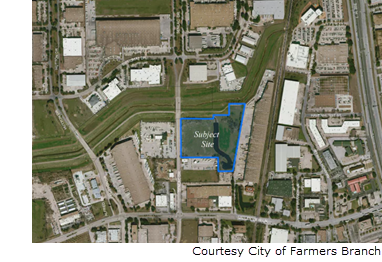 ​​​ FARMERS BRANCH – An industrial development—Valwood Logistics Center—is being developed on Senlac Dr. near I-35E by Panattoni. The development will provide a 151,000-sf speculative warehouse on an almost 12-acre site near Valley View Lane. The builder is also planning a more than 1.5 million-sf industrial park in Lancaster. The two-building Midpoint Logistics Center will be on 49 acres on Dallas Ave. Check out DFW Industrial Market Research.